NEW YORK -- With the last two No. 1 overall picks set to join a promising core, the Philadelphia 76ers view themselves as a team on the rise. Their ownership sees the same opportunities for their other franchises. Josh Harris and David Blitzer formed Harris Blitzer Sports & Entertainment on Monday, looking to expand a portfolio that includes the NHL's New Jersey Devils and Crystal Palace of soccer's English Premier League. The 76ers have been one of the NBA's worst teams the last few years, but they expect to sell out every home game as Ben Simmons and Markelle Fultz join Joel Embiid and Dario Saric, two of the league's leading rookies last season. The Devils, too, boast their own No. 1 overeall pick, Nico Hischier from Switzerland. "To grow at this pace, to continue to grow at the pace we've grown, we certainly need a new structure to continue to operate at the level we've operated at," said Scott O'Neil, the CEO of HBSE. 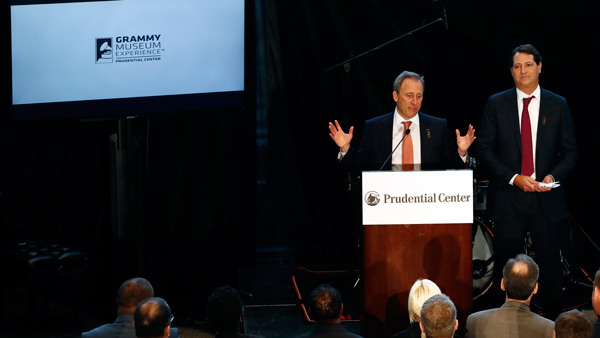 O'Neil will continue to serve as CEO of the 76ers and Devils, as well as Newark's Prudential Center, where the Devils play. He said the group will look to add additional teams and already is looking at potential deals. He added that creating the umbrella company will help the teams share information on everything from health and wellness to drafting strategies, as well as land bigger sponsorship platforms. "We think the rate of growth will continue," O'Neil said. It has for the Sixers, even with an untraditional and heavily debated way to rebuild. They traded away or largely refused to sign veteran players in hopes of poor finishes to give them high draft picks. They had the longest losing streak and nearly the worst won-loss record in NBA history in recent seasons. Still, many Philadelphia fans embraced a strategy that others considered tanking. "Trust the process" became a slogan for the fans, and O'Neil said the 76ers have sold more than 14,000 full-season ticket packages for this season. "We're going to sell out every game and this is a team that won 28 games last year and I think 10 the year before, and we seem to capture the hearts and minds of the city," he said. "And I guess that's in a nutshell what we hope to accomplish with all the properties."